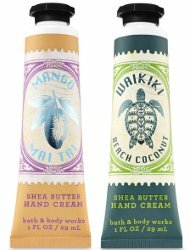 Is it time to summer-up your hand cream? A couple budget options from Bath & Body Works: Mango Mai Tai ("A tropical cocktail of mango nectar, sun-kissed grapefruit & sugarcane") and Waikiki Beach Coconut ("A warm, islandy blend of beach coconut, pink passionflower, saltwater breeze, fresh bamboo & sun-bleached woods"), $4 each. 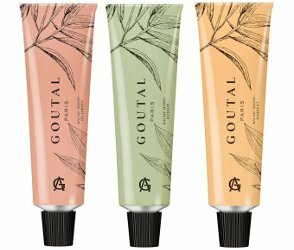 Goutal's new hand balms: Garden ("...a walk in an English garden; the freshness of the flowers blends with the tangy scent of berries and blackcurrant"), Italian ("... a refreshing, energetic and tender fragrance inspired by the hills of Italy") and Oriental (...the scent of the desert of the Orient, a warm wind over the dunes"). £26 each for 40 ml at Harvey Nichols in the UK. My very favorite kind of lemming: one I couldn't buy (easily) even if I wanted to. 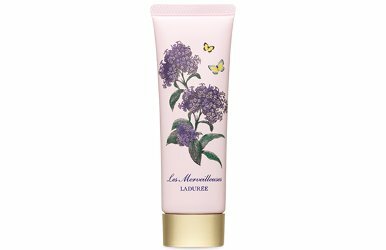 From Ladurée's limited edition Heliotrope collection, the very prettily packaged hand cream ("Mesmerizingly sweet temptation. Bewitching olfactory fascination. 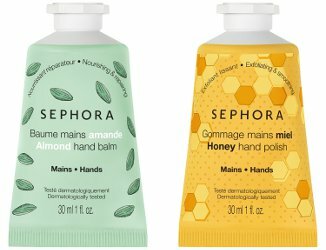 For temptingly beautiful hands."). There is also a Body Wash, Body Lotion and Mist, and they're all due to launch in March, by which time I'll hopefully forget all about it. 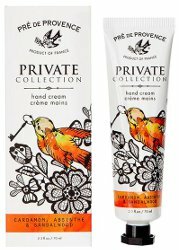 From Pré de Provence, Cardamom, Absinthe & Sandalwood Private Collection Hand Cream: "Each decadent hand cream captures a unique blend of endless inspiration while melting away dryness with hydrating Shea, Mango & Cocoa Butters, Glycerin, Beeswax and an antioxidant vitamin complex of A, E and F." 70 ml for $16.99.